When I started training Server 2003 I thought it would be a trivial upgrade over Windows 2000 – I was wrong. Each feature is just that much more sophisticated, all those little things that should have been in Windows 2000 have arrived. On the training side the courses have been improved, learning is more effective and best of all, you can feel your skill level rising as you study. In practical terms the theme is now: Lesson, Instructor Demo, Hands-on Labs and Questions. What the delegates rave over is the new Labs. The old labs used to be like following a recipe, yes they worked but delegates used to scratch their heads and say: "So what", or "Precisely what did we learn there". Now they are saying, "That really made me think". Why choose Microsoft Official Courses (MOC)? As an independent trainer, I deliver not only Microsoft courses but also ‘grey’ courseware. The Microsoft material is so much more comprehensive and above all, the practical exercises are very well designed. Moreover, Microsoft insist on standards for kit, classrooms and instructors. Whilst you can get the outlines elsewhere, here is a brief summary of the Windows Server 2003 courses. 2273 – This is actually two other courses combined to make a 5 day course. (2273= 2274 plus 2275 see below). Nothing extra, nothing omitted. 2276 – Only a 2 day course mainly TCP/IP I would opt for the 2278 unless you are a beginner. 2278 – Planning and Maintaining a Microsoft Windows Server 2003 Network Infrastructure. Good follow-on course from 2277 Networking course dealing with the classic trio DNS, DHCP and WINS. Recommended. 2279 – Great course on Active Directory. Lots of opportunities to create forests, a whole day on Group Policy. 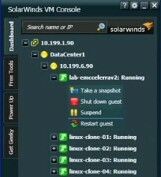 Clearly shows off all the new Windows Server 2003 features. 2272 – XP Lightweight course, officially 5 days but only 4 days of material. Litmus test: Do you know if your course will have an install?